Home Designer: Home Sweet Home is rated 3.6 out of 5 by 16. Rated 5 out of 5 by Krob333 from Lot's of Fun and thanks for the game fix update! Yay! Thank you Big Fish for fixing the game with an update so that I could go past the hexagonal stage. I enjoy all the different takes on hidden objects and mini games. They are not difficult but what a relaxing, good feeling game. They put my two favorite things together, hidden objects and designing. The music is pleasant although it repeats but that does not bother me. Some would choose to have a more challenging adventure but I still enjoy this game a lot because I have purchased a ton of other challenging games. Rated 5 out of 5 by kathiebee from Great Follow Up I loved the first Home Designer, and I have found that this one does not disappoint. I don't understand the negative reviews, and as for problems playing games, sometimes that means that something on your computer needs upgrading. I am so delighted with this game, and it will clearly become another favourite with me. Rated 5 out of 5 by iou001 from I want more! I love this game. It's got a great variety of different HOG scene modes. It's not too hard to find the objects. And I love hunting for the origamis. I cant wait for a game developer to make a game where we can design our own houses from the foundation up and decorate all of the rooms with wallpaper, furniture etc. And then do the yards too. For being a simple game I find it very relaxing and will be playing this one again and again until the next sequel. Rated 5 out of 5 by verimeri from I like this game I enjoy being able to choose the designs I like. The game play is not too difficult and there are plenty of power-ups to help. Mostly, for me it is being able to design a room the way I would like it. If money were not an issue- you can always earn more- how would you want this room to look? That's fun. I have had no issues with the game itself. It has run smoothly. Rated 5 out of 5 by sealsbroken13 from Another great home designer game. I have all the Home Designer, games and this is another to add to my collection. 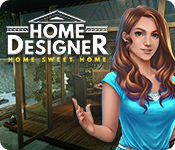 If you played the other home designer games then I am sure you will enjoy this one also. If this is the first of this series then if you like buy and sell, (In this case her client is having her sell things and then use the money she earns from the clients sales to refurnish. 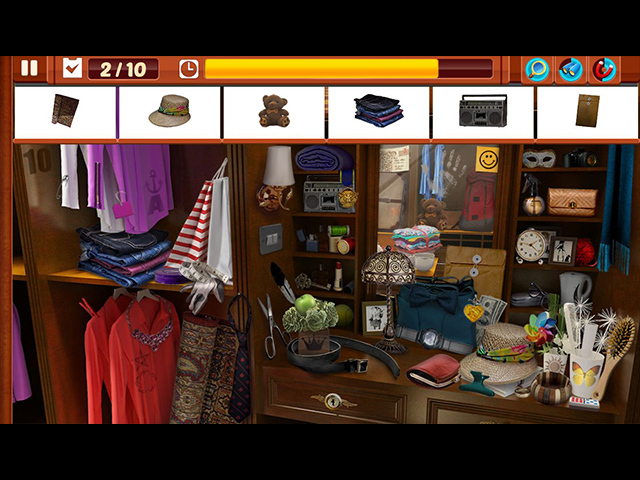 so it is a hidden object sell and buy game and decorate . Which are my favorite hidden object games. I know the other reviews are not good but to each his own, I say give it a try the only thing you have to lose is a little bit of time. Rated 4 out of 5 by MrsBen from I sure hope someone figures out what's wrong with HOME DESIGNER: HOME SWEET HOME! I was just sailing along, enjoying all the different puzzles and the beautiful job I had done on the living room, when Hazel told me I could go to the bedroom. You guessed it...the dreaded "Hexagonal" game. The game froze up tight. I got out of it, deleted the game, reinstalled it and tried again. It did it all again - same deal. Being stubborn AND liking the game, I did it again and it froze before I could even buy the wall lamps in the living room. I don't know what's wrong, but something surely is. If we can get through the holiday slump in working employees, maybe someone will be able to find a solution for us. I will be waiting and trying until I get my game back!! It seems to work for some, so DON'T HESITATE TO TRY THIS GAME! Rated 4 out of 5 by Magnumgirl51 from LOVE IT, BUT.... I really like this game, but I am wondering if anyone else is having an issue on the game where you 'drag' at least 3 adjacent tiles. Up to now, I enjoyed playing the game, but at this point, I am stuck. The screen 'freezes' when the explanations come up. I cannot get past this and have to turn my laptop off. Is anyone else having this problem or does anyone know how to move past this? Other than that, I do love playing this game, but it appears I cannot move forward. Any comments are appreciated. Rated 4 out of 5 by LunaNik from This is a HOPDG...a hidden object, puzzle, decorating game. And it's fun! Basically, you play mini-games and HOs to earn money to redecorate each room. I'd say the ratio was about 25% actual decorating, 50% HOs, and 25% mini-games. HOPA devs could learn a lot from this game; I've never seen a better variety of HO scene presentations. Among those I encountered: word list, pictures, silhouettes, differences, anagrams, and memory. The mini-games were similarly varied: word search, memory pairs, mahjong match, match-3, and more. The rooms and furniture were beautifully rendered, and a wide range of styles was represented in each category. 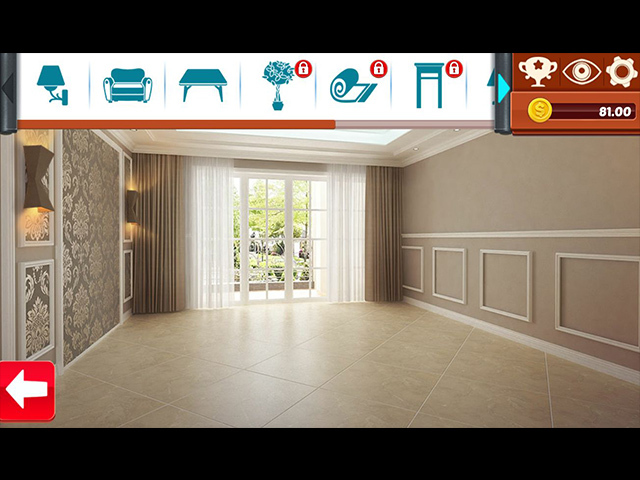 Regarding the decorating part of the game, I did wish for more options, like the ability to rearrange furniture, change walls and floors, and more options in each category. Also, each piece of furniture came with its accessories and decorative items; I would have preferred adding them myself. There are collectible coins and origami designs; both earn you more money. I did find most of the mini-games too easy for adults. And there was no option to skip the tutorial. Overall, this is a great game for 'tweens. And it's exactly the kind of game this stressed out, overtired adult needs, so it's a YES from me. Happy gaming! Rated 4 out of 5 by reidun70 from Fun! i love to decorade and i really liked this game. simple good fun. Rated 3 out of 5 by seeme278 from Mindless entertainment but flawed I like decorating games, otherwise this would not be a puzzle game for real puzzlers. I'm playing in the most challenging mode, so I don't know if some of these issues are explained in the easy mode. First, there are symbols and coins that in many levels are just not visible. When I complete levels, I often see 0 in logo bonus and 0 in coin bonus. Some of the coins are just tiny specks of gold, which is okay, but I've really pored over some of the screens and found nothing. Not sure if the 0 bonus means I've missed them, but that would be the logical conclusion. 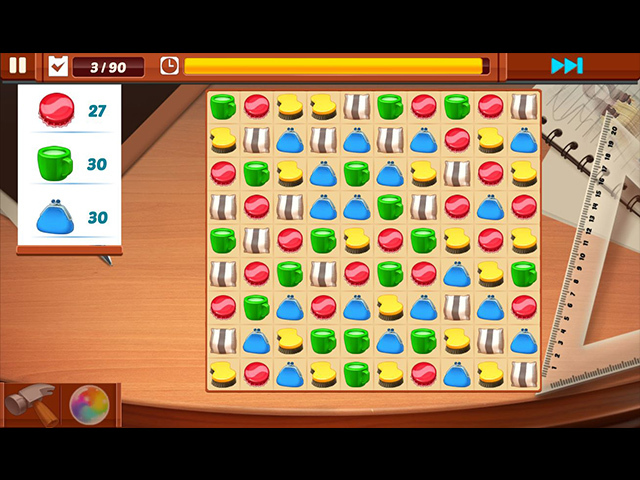 At about the 90 minute mark, I hit a "hexagonal" match 3 type puzzle that just would not respond to my cursor. No instructions on what to do. I clicked and dragged everywhere, but couldn't get anything to move. No hot spots. Had to skip the puzzle. If you have a stockpile of game credits, you might find this game amusing, but otherwise I recommend saving your money.